Fly Fishing Canada's National Youth Fly Fishing Team is now accepting applications for the 2018 season. Applicants must be 13 to 18 years of age and avid fly fishers. Training and clinics will be provided with hopes that the members of our youth team will one day represent Canada at an upcoming regional; North American Fly Fishing Championships; and Youth World Fly Fishing Championships. There is absolutely no charge to become a member of the Canadian National Youth Fly Fishing Team, so you nothing to lose and everything to gain! 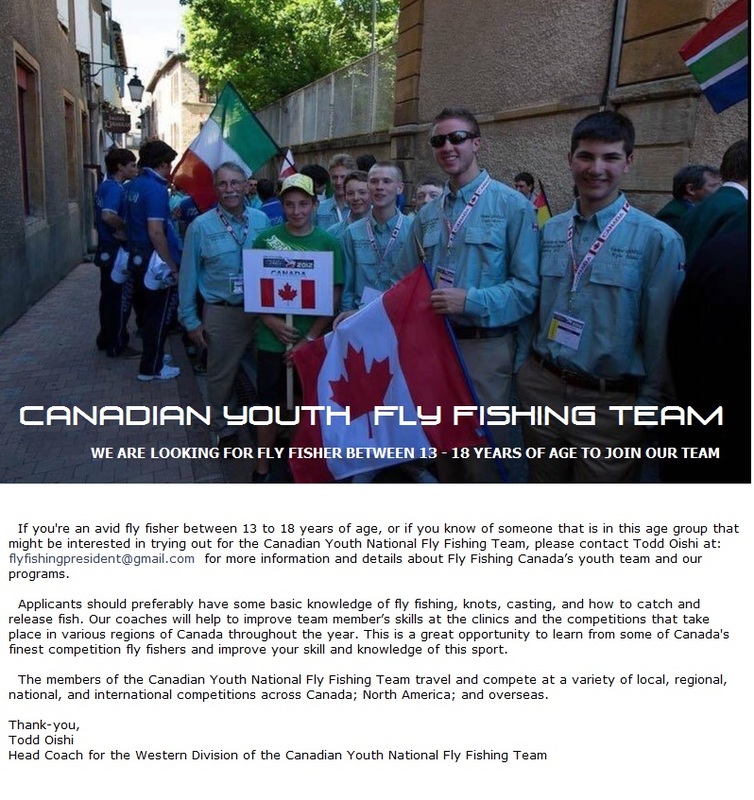 Please post a reply on this thread or contact Todd Oishi at: flyfishingpresident@gmail.com for more information and details about Fly Fishing Canada’s youth team and our programs.